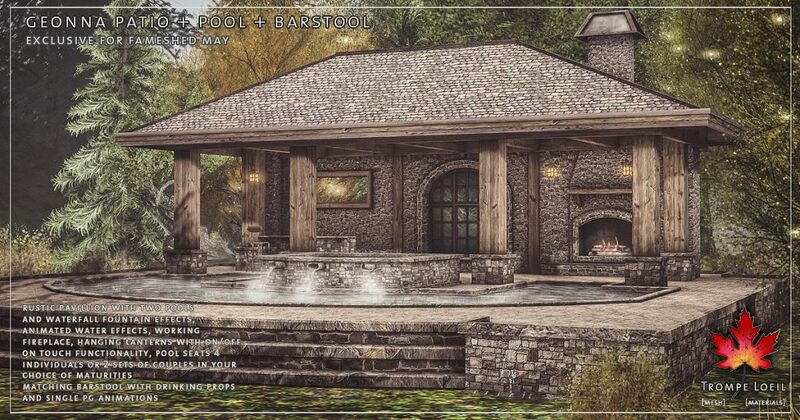 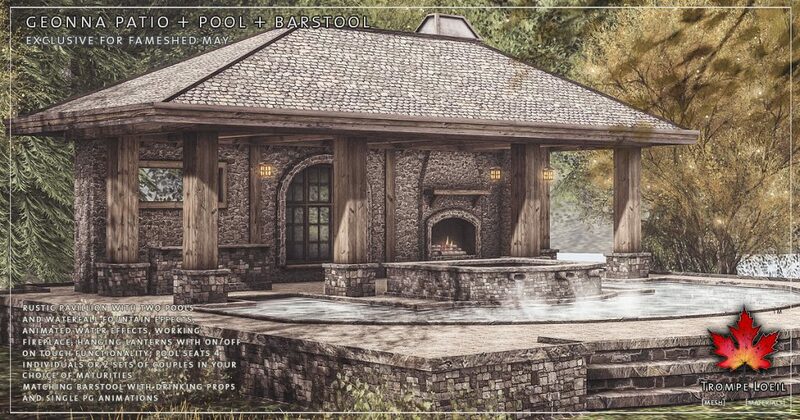 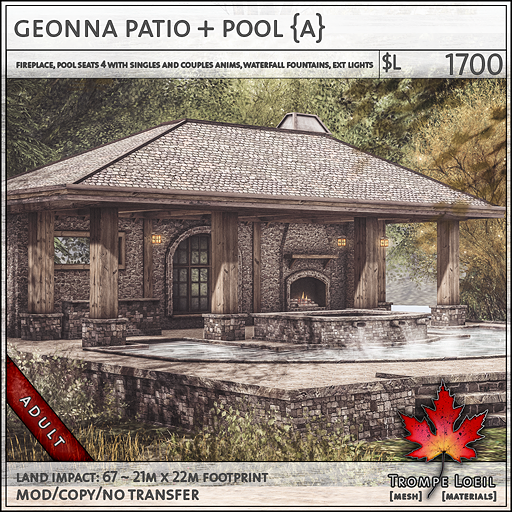 Pool and patio season is in full swing, and we couldn’t leave out those of you who love a rustic stone wall and reclaimed wood supports surrounding a sparkling oasis tucked away in the forest – the Geonna Patio + Pool plus matching Barstool, only at FaMESHed May! 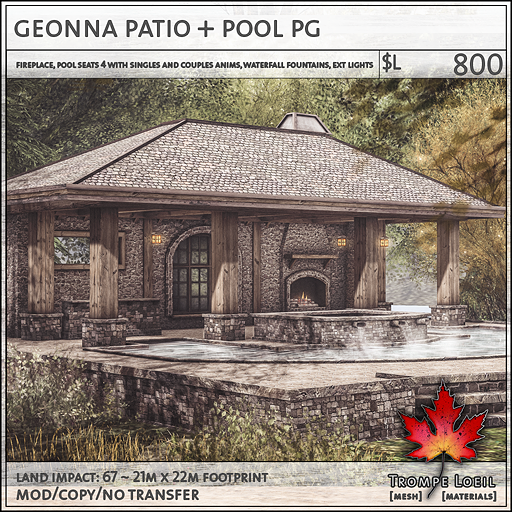 The Geonna Patio + Pool is a single unified structure with open-air design, working stone fireplace, hanging lanterns (also available as a free gift at the event), and two pools with animated water effects – the upper pool gently cascades into the larger swimming pool with beautiful motion and mist! 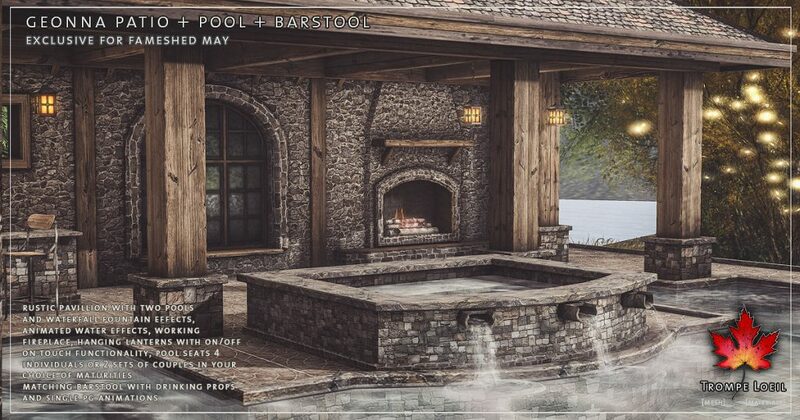 Animated in your choice of maturities, 4 singles or 2 sets of couples can explore both pool areas with fun animated poses for hanging out, splashing, floating, cuddling, and much more. 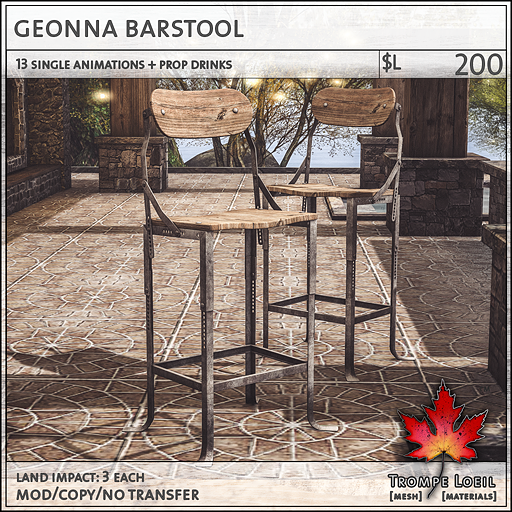 Plus, the Geonna Barstool fits any rustic or industrial decor, with 14 PG single animations and a selection of drink props available via menu, ready for the Geonna built-in bar area or your favorite home pub or kitchen counter! 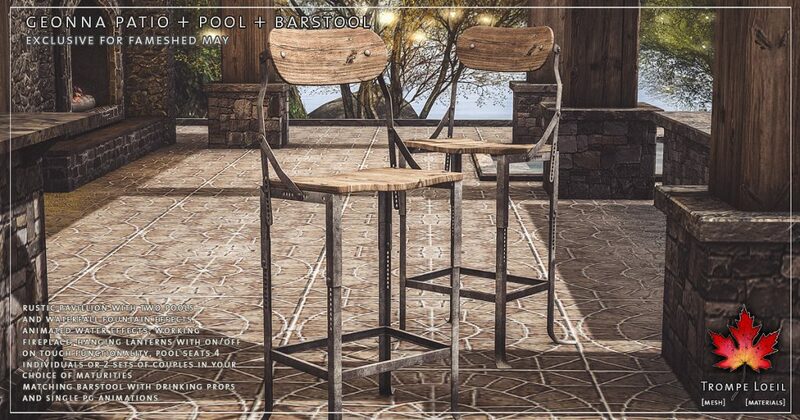 See the on-site display at the Trompe Loeil Mainstore and at the FaMESHed 5th Anniversary Event!